This is a story about how a community in North Carolina is diversifying its local economy and working toward achieving long-term stability and prosperity through entrepreneurial businesses that focus on the arts and environmental sustainability. The hub of this new activity is the town of Star in Montgomery County, where a couple decades ago the textile mills that formed the backbone of the local economy started to go south and the jobs didn’t come back. In this final post, I discuss how STARworks was careful in its selection of recruited businesses – and how they are positioned to become additional assets to the emerging creative cluster of the region. STARworks is an initiative that’s being pursued in a challenging environment: the demographic and economic trends of the local region, as in many small, rural communities across the state of North Carolina, point to ongoing difficulty providing high quality employment opportunities, retail establishments and infrastructure. But there are several key aspects of STARworks that help illustrate why it has enjoyed success thus far and should continue to create returns in increased economic development, incomes and employment. Through over a dozen interviews, I found STARworks has helped stimulate spillovers and positive externalities in a market ripe for development of creativity-based enterprise. 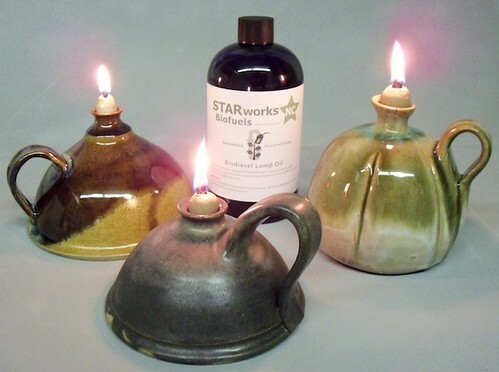 For example, STARworks began a clay manufacturing operation to supply area potters in Seagrove who had been importing clay from out of state – an example of the market revealing a demand that the organization has stepped in to meet. Biofuels may become an important sector for North Carolina, so STARworks built a pilot biofuel generator on the premises. Making use of ample space on their property, STARworks began a Community Supported Agriculture program, creating an edible schoolyard for a resource-depleted area school system and a revenue generating venture. A geothermal equipment installer, one of STARworks’ privately-held tenants, has become an important resource for the local community college, while the STARworks’ glass studio has been able to provide continuing education credits for area art teachers. Likewise, unique, intra-firm cooperation between tenants at STARworks has resulted in new, spin off businesses. Employees of the non-profit glass studio and of the privately-held glass furnace manufacturing tenant business collaborated to engineer a manifold to capture the 1200 degrees Fahrenheit of waste heat from the glass studio’s furnace as process heat for a biofuel-based reactor and to recycle for glass processing. There is a collectively shared tool closet of mostly donated items on the premises that is available for use by any business at the site. Additionally, in its role as a small business incubator, STARworks has provided hands-on technical support to tenant businesses, and has helped steer its non-profit projects, such as the clay production facility and studio, to revenue generation. Indeed, if small business will be a more important generator of local growth than large firms in the future, these will be among those successful businesses. To my mind, the links between STARworks’ tenant businesses is its most compelling attribute. Margaret Collins of the Triad PTP calls the intra-firm cooperation “very innovative and exciting.” Perhaps due to forced insularity, perhaps because they like to “make things,” as one interviewee stated, STARworks affiliated employees are collaborating on new ventures that use the byproducts of their operations, like the waste heat capture process described above. Another collaborative venture is a brewery, given the label “Old School” to refer to the building’s origins as a college. The brewery will also use waste heat from glass operations. STARworks will likely avoid vulnerabilities associated with a lack of diversity by choosing to support the development of many different types of creative firms. An added advantage is that these firms are cooperating professionally. STARworks Executive Director Nancy Gottovi explained in an interview that, “while many people in small towns want one large business” to provide a single large employment base, her organization’s strategy is to “not put all eggs in one small business basket.” Additionally, because small towns “can’t swallow a big recycling of industrial space,” she noted, STARworks aims to return its building to productive use sustainably. While not generating new jobs at the pace and scale of a large industry, the STARworks enterprises are increasing local spending and accelerating redevelopment — and they are initiating another round of investment in the new creative ventures their cooperation has inspired. To me, STARworks is a “new strategy for an old crisis.” By linking its homegrown activities to both larger markets and regional economic development policy strategies and by being careful in its selection of recruited businesses so that they are well positioned to become additional assets to the emerging creative cluster of the region, STARworks is a concrete — and hope-filled — strategy for regenerating a local economy. Photos courtesy of Starworks Center for Creative Enterprise.